LT Projects have delivered a number of specialist solutions to the fitness industry. Including conceptual development we plan and install immersive projection systems, audio and lighting for live gym and spin cycling classes. 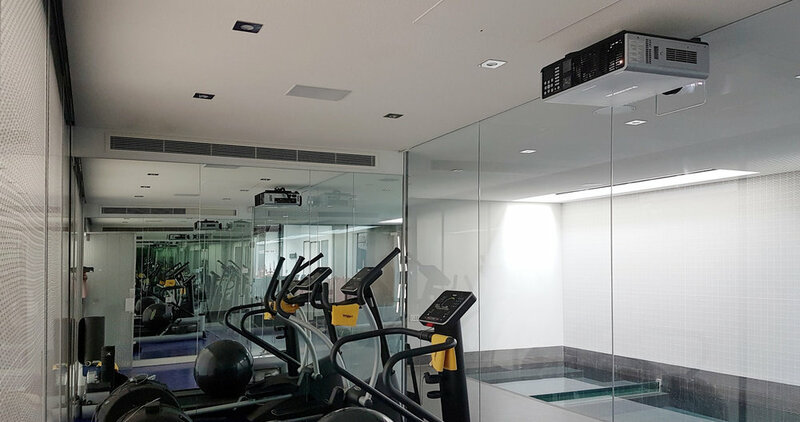 We have helped deliver the most recent and ambitious of interactive fitness environments, collaborating with companies as specialist projection system consultants and installers as well as delivering turnkey solutions to clients directly. We continue to develop systems for immersive and interactive fitness with projects ongoing, currently prototyping innovative systems for immersive and interactive fitness across the board. Including interactive live control tablets, fully automated live streaming of classes and presentations, audio systems, lighting, projection and digital signage. Interactive climbing walls and trampoline parks, we have developed motion tracking systems allowing the user to interact with the systems more intuitevly in fun ways while developing new ways to collect metrics and stats.